Anything at all that you consider helpful, educational, or just plain fun will be considered for publication in Network if you send it to us. You can get a general idea of the types of things we publish in Network by referring to any issue of Music K-8. Please send copies only, as submissions cannot be returned. 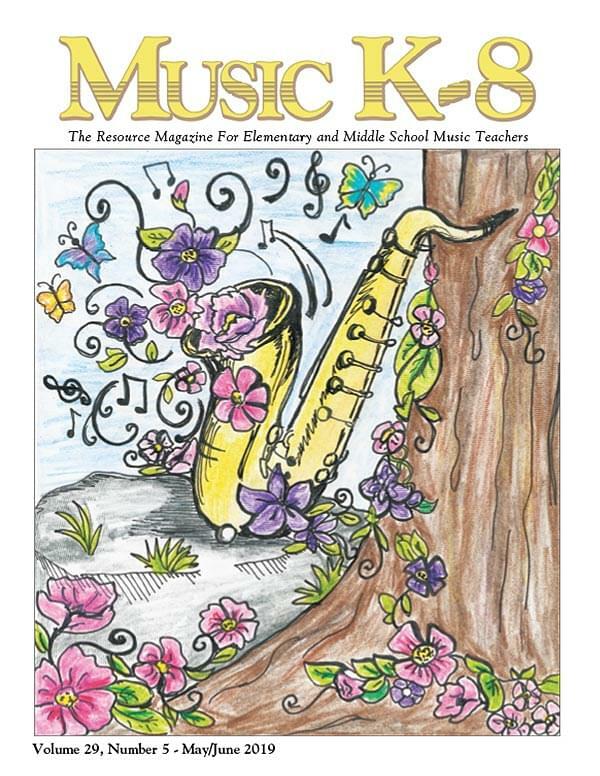 Preference for publication is given to submissions from subscribers to Music K-8. Materials should be pertinent to our readers. Materials of shorter length are more likely to be selected than longer items. We can't use copyrighted materials that we don't have rights to publish. This includes illustrations from copyrighted sources as well as music, text, etc. If it's an original idea of yours or pertains to something that is in the public domain, you're fine. Make sure we can read and understand your submission. Typed, computer printed material, or e-mail is preferable, although legible handwritten material is also acceptable. Be sure to include your name and complete mailing address on your submission as it may get separated from the envelope. If your submission is sent via e-mail, you must include your complete mailing address. Because of the number of submissions we receive, we cannot routinely acknowledge receipt of each submission. However, if you've sent a submission to us and would like to know its status, you can drop us a note of inquiry. We'll be glad to look it up for you and will get back to you as soon as possible with an update. Be aware, however, that it may take many months for submissions to be reviewed before they are considered for publication. If you would like us to remove a submission you have sent us from our list of possible items, send us a letter with your request. We reserve the right to edit submissions for publication. All submissions become the property of Plank Road Publishing, Inc. upon acceptance and payment. The Photo Journal section of Music K-8 publishes photos of students enjoying and participating in musical activities in the classroom, performing in concerts and programs, or engaged in other school-related musical activities. You can get an idea of the types of photos we publish by referring to any issue of Music K-8. Please send duplicate photos only, as photos cannot be returned. Preference for publication is given to photos from subscribers to Music K-8. Be sure to attach your name and complete mailing address to each photo as it may get separated from the envelope. Please include a brief description of what the photo is illustrating or what is happening in the photo. This information will be used to write a caption for the photo, if it is published. For each photo published, we will pay $30. All photos become the property of Plank Road Publishing, Inc. upon acceptance and payment. We cannot publish photos that have appeared in other publications (such as newspapers) without that publication's permission in writing accompanying the photo. We can use black and white or color photographic prints or computer-generated photos (from a digital camera or video). E-photos should have a resolution of at least 150 lpi (300 is better) and be in the JPEG format. E-photos can be sent via e-mail to: network@musick8.com We cannot use transparencies (slides), or newspaper clippings. Because of the number of photo submissions we receive, we cannot routinely acknowledge receipt of each one. However, if you've sent a photo to us and would like to know its status, you can drop us a note of inquiry. We'll be glad to look it up for you and will get back to you as soon as possible with an update. Be aware, however, that it may take considerable time before photos are considered for publication. Make sure that the photo is properly exposed (not too dark or too light). Make sure that the image is sharply in focus. Try to have the photo show something happening rather than just a static group pose.